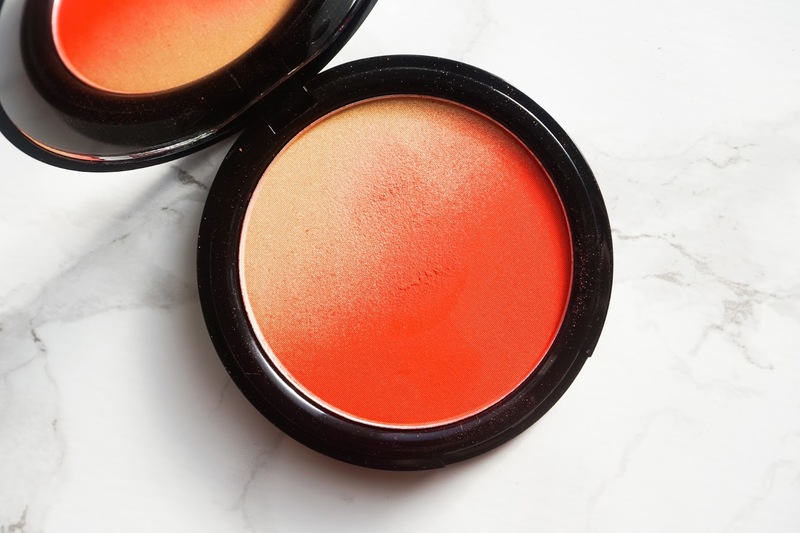 There is something that has to be said about an orange blush. 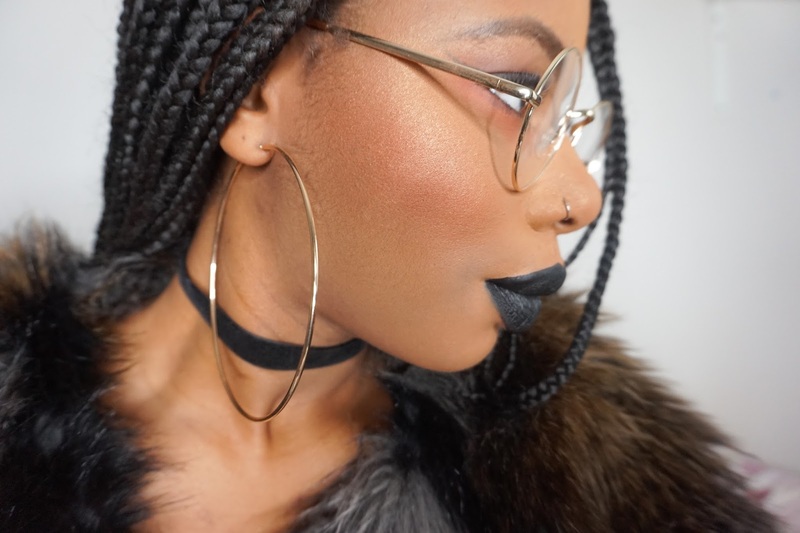 I am completely and totally obsessed with them as they work so well on brown/black skin – they just create a natural and effortless glow that radiates perfectly. Since I discovered how great they work I have been going a lil HAM on orange blushers and I’ve now added a new arrival to my collection. The idea of an ombre blush is to give you more than one shade to work with. For Feel The Heat I feel like we’ve been hooked up with an extra shade but shhhh don’t tell anybody. Feel The Heat begins with a cool gold shade which is perfect for highlighting somewhat on cocoa skin. I say somewhat because it’s not super pigmented. If you love a good amount of highlight you won’t be able to rely on this part of the blush to give you that oil glazed look, sorry. If you like a subtle glow then you’ll really gain from Feel The Heat. 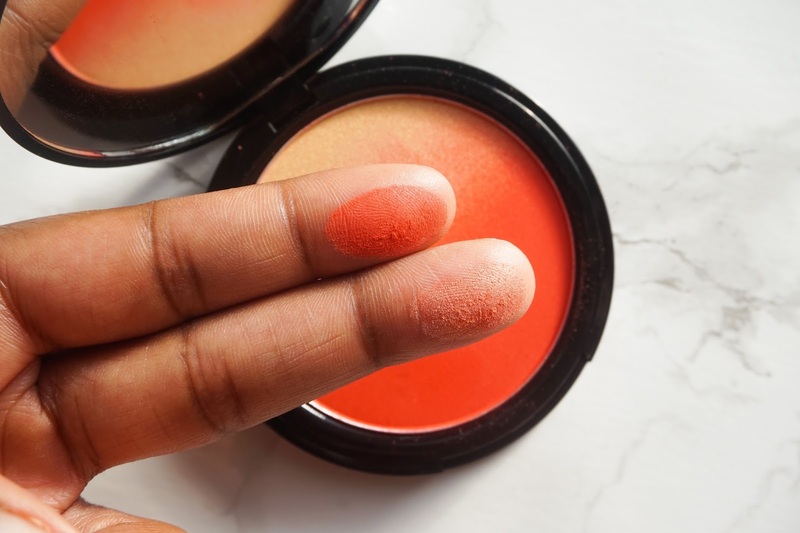 Next we move into the MOST vibrant matte orange blush I have EVER seen. I mean look for yourself! PERFECCCCCT for the deepest of cocoa skin. NYX really meant business with shade! For that reason, a light hand is advised. Don’t go slapping it on, take your time to apply lightly and into the skin, this will ensure you get that natural glow. Mixed together these two shades are beautiful! You get what I would call a sheen finish. It’s not matte but it’s not enough to be used as a highlighter but just a perfect in-between which actually makes it ideal for everyday wear. In my face swatch picture I applied a combination of both shades a little bit of a heavy hand so that you can see the pigmentation. The highlight is from a different product (MADD Holy Glow Vol 2) so please ignore the shine above my cheek –my bad. You really cannot go wrong with this product especially if you are a WoC. 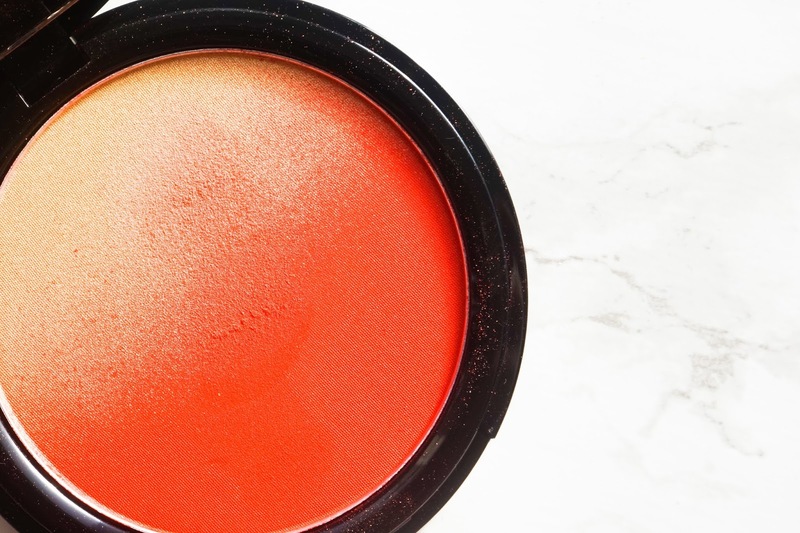 It’s pigmented, bigger than most blushers and extremely affordable! I think I’ll be getting a few more of these! Ooh I want it! And that lipstick really suits you too.